S7 Airlines, a oneworld® global airline alliance member, launches direct scheduled flights to the Spanish island of Tenerife starting 26 April 2018. Tickets are available now. Flights from Moscow to Tenerife will be carried out on Mondays and Thursdays. Flights will depart from Domodedovo Airport at 13:25 and arrive at Reina Sofia Airport at 19:20 local time. Return flights will depart at 20:20 and arrive in Moscow at 05:45 the next day. Flights from Moscow to Tenerife will be carried out on modern Airbus A320neo aircraft, which boast an increased flight range. Passengers will appreciate the comfortable and spacious interior of the aircraft with seats equipped with sockets with a USB port, as well as with miniature smartphone and tablet holders. “S7 Airlines is constantly expanding the geography of flights to Western Europe. We are glad to offer our passengers a new flight to Spain, to Tenerife, the largest island among the Canary Islands. 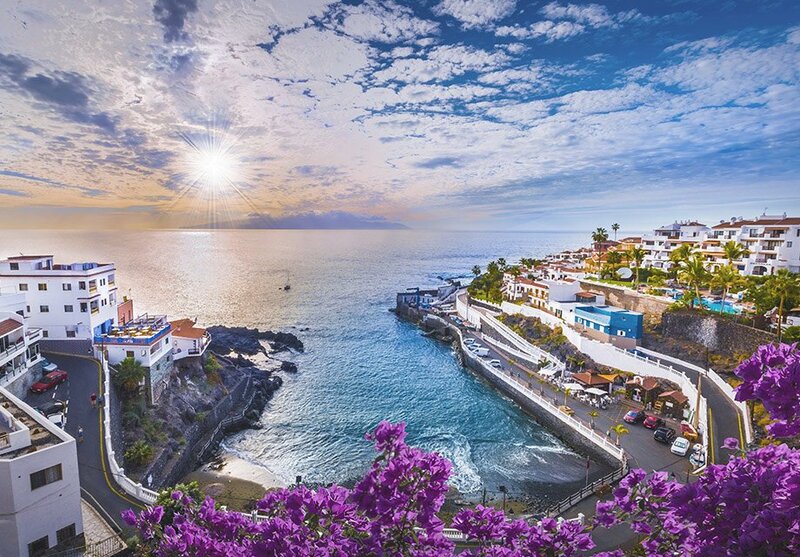 Tenerife attracts travellers with its various recreation opportunities: impressive black volcanic sand beaches, national parks with stunning scenery, ocean coasts for surfing and a rich underwater world for fans of diving,” says Igor Veretennikov, the Commerce Director of S7 Group. In Tenerife, tourists can combine a leisurely beach holiday with an active ecotourism ranging from walks in the Mars-like landscapes of the Mount Teide volcano to whales and dolphins watching on a sea walk along the rocky coves. S7 Airlines already operates direct scheduled flights from Moscow to Barcelona, Alicante, Málaga, Valencia, Palma de Mallorca and Ibiza. In spring 2018, the airline will commence flights from St. Petersburg to Alicante.